“Iran is a fortress. Surrounded on three sides by mountains and on the fourth by the ocean, with a wasteland at its centre,” noted Stratfor, a geopolitical intelligence platform. Gulf fears are rooted not only in deep-seated distrust of Iran’s Islamic regime, but also in the fact that the foundation of past Persian empire relied on control of plains in present-day Iraq. 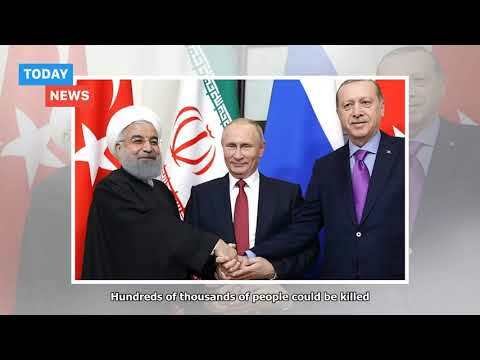 “Stakes for all parties are starting to divert from each other in Syria and the prospects of cooperation with Russia and Iran are becoming more challenging,” said Turkish columnist Nuray Mert commenting on the situation in Idlib. Her analysis is as valid for Idlib as it for the prospects of many of the Middle East alliances. It’s easy to dismiss Iranian denunciations of the United States and its Middle Eastern allies as part of the Islamic republic's long-standing rhetoric. The rhetoric makes it equally easy to understand American distrust. But as President J. Trump and Hassan Rouhani, his Iranian counterpart, gear up for two days of diplomatic sabre rattling at the United Nations in advance of next month's imposition of a second round of harsh US sanctions, both men risk fuelling a conflict that could escalate out of hand. Both are scheduled to address the UN general assembly on Tuesday and Mr. Trump is slated to chair a meeting on Wednesday of the Security Council expected to focus on Iran. Adding to the likely drama at the UN, European Union foreign policy chief Federica Mogherini, speaking alongside Iranian Foreign Minister Mohammad Javad Zarif, snubbed Mr. Trump, by announcing the creation of a payment system that would allow oil companies and businesses to continue trading with Iran despite US sanctions. The risk of escalation is enhanced by the fact that Messrs. Trump and Rouhani are sending mixed messages. Mr. Trump's administration insists that its confrontational approach is designed to alter Iranian behaviour and curb its policies, not topple its regime. Yet, the administration stepped up its engagement with exile groups associated with the Mujahedeen-e-Khalq, a controversial Saudi-backed organization that calls for the violent overthrow of the government in Tehran and enjoys support among current and former Western officials, as Messrs. Trump and Rouhani battle it out at the UN. John Bolton, who has repeatedly advocated regime change before becoming Mr. Trump’s national security advisor, is scheduled to give a keynote address at the United Against Nuclear Iran’s (UANI) annual summit during the UN assembly. So is Secretary of State Mike Pompeo, another hardliner on Iran. Mr. Pompeo and Mr, Bolton, who has spoken in the past at events related to the Mujahedeen, had so far since coming to office refrained from addressing gatherings associated with opposition groups. The administration left that to Mr. Trump’s personal lawyer, Rudolph Giuliani, who last weekend told the Iran Uprising Summit organized by the Organization of Iranian-American Communities, a Washington-based group associated with the Mujahedeen and attended by the exile’s leader, Maryam Rajavi, that US. sanctions were causing economic pain and could lead to a “successful revolution” in Iran. “I don’t know when we’re going to overthrow them. It could be in a few days, months, a couple of years. But it’s going to happen,” Mr. Giuliani, said speaking on the day of an attack on a military march in the southern Iranian city of Ahvaz that killed 25 people and wounded at least 70 others. Messrs. Bolton, Pompeo and Giuliani’s hardline stems from US suspicions rooted in anti-American and anti-Western attitudes that are grafted in the Islamic republic's DNA and produced the 444-day occupation in 1979 of the US Embassy in Tehran. They are reinforced by the humiliation of a failed US military operation to rescue 66 Americans held hostages during the occupation. Iranian rhetoric; bombastic threats against Israel; denial of the Holocaust, support for anti-American insurgents in Iraq, the brutal regime of Syrian president Bashar al-Assad, Hezbollah in Lebanon, Houthi rebels in Yemen and Hamas in the Gaza Strip; propagation of religiously inspired republican government as an alternative to conservative monarchy in the Gulf; and degrees of duplicity regarding its nuclear program, reaffirm America's suspicion. Iran's seemingly mirror image of the United States traces its roots further back to the 1953 US-supported overthrow of the nationalist government of prime minister Mohammad Mossadegh and his replacement by Shah Mohammad Reza Pahlavi whom Washington staunchly supported till his fall in 1979. Iranian concerns were reinforced by American backing of Iraq in the 1980s Gulf war, US support for Kurdish and Baloch insurgents, the broad spectrum of support of former and serving US officials for the Mujahedeen-e-Khalq, unequivocal Saudi signals of support for ethnic strife as a strategy to destabilize Iran, and Mr. Trump's withdrawal from the 2015 international agreement to curb Iran's nuclear program despite confirmation of its adherence to the accord. Responses by the US and its Gulf allies as well as a series of statements by militant Iranian Arab groups, including the Ahvaz Resistance Movement, suspected of being responsible for this weekend's attack, have only deepened Iranian distrust. Those statements included one by the Arab Liberation Movement for the Liberation of Ahwaz effusively praising Saudi Arabia on its national day that the kingdom celebrated a day after the attack. Yadollah Javani, the deputy commander of Iran’s Revolutionary Guard Corps, the target of the attack, vowed revenge for what he termed years of conspiracies against the Iranian revolution by its enemies. Mr. Javani was referring to past US attempts to destabilize Iran and a four-decade long global Saudi campaign that included backing of Iraq in the Gulf war during the 1980s and an estimated $100 billion investment in support of anti-Iranian, anti-Shiite ultra-conservative Sunni Muslim groups. All of this means that mounting hostility between the United States and Iran is muddied as much by fact as by perception – a combustible mix that is easily exploitable by parties on both sides of the divide seeking to raise the ante. It was a series of incidents in 2011 during the popular Arab revolts that drove home the fact that China would not be able to protect with its existing foreign and defence policy kit its mushrooming Diaspora and exponentially expanding foreign investments that within a matter of a few years would be grouped as the infrastructure and connectivity-driven Belt and Road initiative linking the Eurasian landmass to the People’s Republic. Policy principles of non-interference in the domestic affairs of others, an economically-driven win-win approach as a sort of magic wand for problem solution, and no foreign military interventions or bases needed reinterpretation if not being dumped on the dustbin of history. The incidents included China’s approach to the revolt in Libya as it was happening when it deviated from its policy of non-interference by establishing parallel relations with the opposition National Council. The outreach to Libyan leader Col. Moammar Qadhafi’s opponents did not save it from being identified with the ancien regime once the opposition gained power. On the contrary, the Council made clear that China would be low on the totem pole because of its past support for the Qadhafi regime. The price for supporting autocratic rule in the greater Middle East meant that overseas Chinese nationals and assets became potential targets. To ensure the safety and security of its nationals in Libya, China was forced to evacuate 35,000 people, its most major foreign rescue operation. The evacuation was the first of similar operations in Syria, Iraq and Yemen. The evacuations didn’t stop militants in Egypt’s Sinai from kidnapping 25 Chinese nationals and radicals in South Sudan from taking several Chinese hostages. The kidnappings sparked significant criticism on Chinese social media of the government’s seeming inability to protects its nationals and investments. With Uyghurs from China’s strategic north-western province of Xinjiang joining militant jihadists in Syria and two Uyghur knife attacks in Xinjiang itself in the cities of Hotam and Kashgar, the limits of China’s traditional foreign and defense policy meshed with its increasingly repressive domestic approach towards the ethnic Turkic people. Finally, the greater Middle East’s expectations were driven home in a brutal encounter between Arab businessmen and ethnic Chinese scholars and former officials in which the Arabs took the Chinese to task for wanting to benefit from Middle Eastern resources and trade relations without taking on political and geopolitical responsibilities they associated with a rising superpower. Add to all of this that in subsequent years it was becoming increasingly difficult for China to remain on the sidelines of the Middle East’s multiple conflicts and rivalries. This was particularly true with President Donald J. Trump’s coming to office. 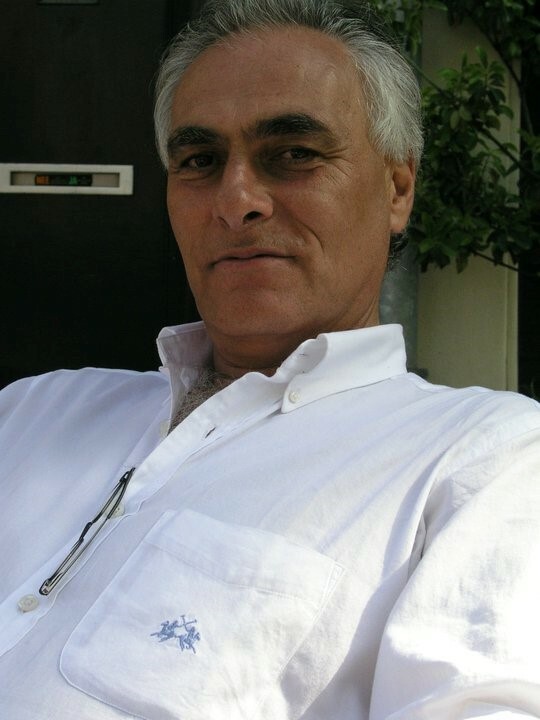 The greater Middle East’s problems escalated with Mr. Trump’s abandonment of any pretence of impartiality in the Israeli-Palestinian conflict; his heating up of the rivalry between Saudi Arabia and Iran by withdrawing from the 2015 international agreement curbing Iran’s nuclear program; and his toying with attempting to change the regime in Tehran that encouraged Saudi Arabia to step up Saudi support for Pakistani militants in the province of Baluchistan; the likely return of Uyghur jihadists in Syria to Central and South Asia that has prompted the establishment of Chinese military outposts in Tajikistan and Afghanistan and consideration of direct military intervention in a possible Syrian-Russian assault on Idlib, the last rebel-held stronghold in Syria; and finally the potential fallout of China’s brutal crackdown in Xinjiang. Already, the events in 2011 and since coupled with the mushrooming of Belt and Road-related investments has led to the creation of the country’s first foreign military base in Djibouti and the likely establishment of similar facilities in its string of pearls, the network of ports in the Indian Ocean and beyond. China’s potential policy dilemmas in the greater Middle East were enhanced by the fact that it doesn’t really have a Middle East policy that goes beyond its shaky, traditional foreign and defence policy principles and economics. That was evident when China in January 2016 on the eve of President Xi Jinping’s visit to the Middle East, the first by a Chinese head of state in seven years, issued its first Middle East-related policy white paper that fundamentally contained no new thinking and amounted to a reiteration of a win-win-based approach to the region. Moreover, with China dependent on the US security umbrella in the Gulf, Beijing sees itself as competitively cooperating with the United States in the Middle East. That is true despite the US-Chinese trade war; differences over the Iranian nuclear agreement which the United States has abandoned and China wants to salvage; and Mr. Trump’s partisan Middle East policy. China shares with the United States in general and even more so with the Trump administration a fundamental policy principle: stability rather than equitable political reform. China’s principle of non-interference is little more than another label for the US equivalent of long-standing support of autocracy in the Middle East in a bid to maintain stability. In some ways China is learning the lesson, despite recent developments in Xinjiang, that US President George W. Bush and Susan Rice, his national security advisor and subsequent secretary of state, learnt on 9/11. Within a matter of weeks after the Al Qaeda attacks on New York and Washington, Bush and Rice suggested that the United States was co-responsible for the attacks because of its support for autocracy that had fuelled anti-American and anti-Western sentiment. It was why Bush launched his ill-conceived democracy initiative. China, as a result of its political, economic and commercial approach towards the Belt and Road, is starting to have a similar experience. Chinese overseas outposts and assets have become targets, particularly in Pakistan but also in Central Asia. The kidnappings in 2011 in the Sinai and South Sudan were the beginning. Uyghurs joined groups like the Islamic State and Al Qaeda not because they were pan-Islamist jihadists but because they wanted to get experience they could later apply in militant struggle against the Chinese. Beyond profiling themselves in fighting in Syria, Uyghurs have trained with Malhama Tactical, a jihadist for profit Blackwater, the private military company created by Erik Prince. Anti-Chinese sentiment in countries like Kazakhstan and Tajikistan is on the rise. Iranians are grateful for Chinese support not only in the current battle over the nuclear accord but also in the previous round of international and US sanctions. They feel however that last time round they were taken for a ride in terms of high Chinese interest rates for project finance, the quality of goods delivered, and a perceived Chinese laxity in adhering to deadlines. Resentment of the fallout of the Belt and Road investment taps into the broader threat involved in supporting stability by backing autocratic regimes That is nowhere truer than in the greater Middle East, a region that is in a period of volatile, often bloody and brutal transition. It’s a transition that started with the 2011 Arab revolts and has been pro-longed by a powerful Saudi-United Arab Emirates-led counterrevolution. Transitions take anywhere from a quarter to half a century. In other words, the Middle East is just at the beginning. China, like the United States did for decades, ignores the rumblings just below the surface even if the global trend is toward more authoritarian, more autocratic rule. 9/11 was the result of the United States and the West failing to put their ear to the ground and to take note of those rumblings. Of course, current rumblings may never explode. But the lesson of the people’s power movement in the Philippines in 1986, the video in late 2010 of a fruit and vegetable vendor in Tunisia who set himself alight that sparked the Arab revolts, months of street and online protests in Morocco in the last year, the mass protests in Jordan earlier this year against a draft tax bill that have now restarted because of the legislation’s resurrection, and the current protests in the Iraqi city of Basra potentially are the writing on the wall. All it takes is a black swan. The Chinese crackdown in Xinjiang could just be a black swan on multiple fronts given the fact that its fallout is felt far beyond China’s borders. For starters, the wall of Western and Muslim silence is cracking with potentially serious consequences for China as well as the Islamic world. What is happening in Xinjiang is fundamentally different from past incidents including protests against a novel by Salman Rushdie and Ayatollah Khomeini’s fatwa ordering his killing; the 2006 Muslim boycott of Danish products because of controversial Danish cartoons depicting the Prophet Mohammed, and the more recent protests sparked by the burning of a Qur’an by a Florida evangelist. The Chinese campaign in Xinjiang challenges fundamentals of the Islamic faith itself. The earlier incidents were sparked by protests, primarily among South Asians in either Birmingham or Pakistan. This month has seen the first of Xinjiang-related anti-Chinese protests in Bangladesh and India. The first critical article on Xinjiang in the Pakistani press was published this week. Malaysia is the first Muslim country to speak out with condemnations by a senior figure in Malaysian prime minister Mahathir Mohamad’s political party as well as the country’s likely next head of government, Anwar Ibrahim. Consideration in Washington of Xinjiang-related sanctions by the Trump administration, coupled with United Nations reporting on the crackdown and a German and Swedish ban on deportations of Uyghurs, puts the issue on the map and increases pressure on Muslim nations, particularly those like Saudi Arabia, Iran, Turkey and Pakistan that claim to speak on behalf of Islam. This together with the fact that Chinese support for autocratic or authoritarian rule creates a potential opportunity to export its model of the surveillance state, the most extreme example of which is on display in Xinjiang, constitutes risks and involves potential black swans. To be sure, Pakistan can hardly be described as a liberal society, but it is also not exactly an authoritarian state, yet Pakistan is China’s first export target. And others closer to home could follow. If all of this is more than enough to digest, factor in the geopolitics of Eurasia, certainly as they relate to the greater Middle East. The Chinese-backed Russian-Iranian-Turkish alliance is brittle at best, witness differences over the possible battle for Idlib and the post-war presence of Iran in Syria. Saudi Arabia, the United Arab Emirates and Iran, and to a lesser degree Israel are players in what is a 21st century Great Game. That is particularly true in the Caucasus and Central Asia as well as Pakistan and as it relates to port diplomacy in Pakistan’s Gwadar and the Indian-backed Iranian port of Chabahar. Add to this the fact that if Saudi Arabia is the world’s swing oil producer, Iran is Eurasia’s swing gas producer with the potential to co-shape the supercontinent’s future energy architecture. 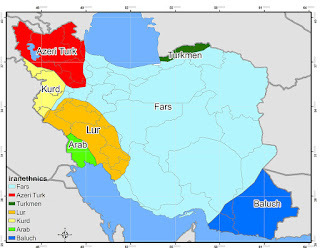 And finally, there are multiple ways that China risks being sucked into the Saudi-Iranian rivalry not least if the United States and Saudi Arabia decide to take plans off the drawing board and initiate a campaign to destabilize Iran by stirring unrest among its Baloch, Kurdish, Iranian Arab and Azeri minorities. The long and short of this is that the Great Game in Eurasia remains largely undecided and that change in China’s foreign and defense policy is already a fact. The question is how all of this will affect China and how potential obstacles on the Belt and Road will play out. The disconnect between Saudi imperatives and the expectations of Western governments and financial markets who repeatedly focussed on unmet Saudi time indications of the Aramco IPO rather than broader policy statements fit a pattern of misperceptions. A Saudi decision to indefinitely delay an initial public offering (IPO) of five percent of the Saudi Arabian Oil Company or Aramco, the Saudi state-owned oil company, has further dented investor confidence and fuelled debate about Crown Prince Mohammed bin Salman’s ability to push economic reform. It has even prompted speculation that his assertive policies, including the Kingdom’s ill-fated military intervention in Yemen, harsh response to Canadian human rights criticism and failed Saudi-United Arab Emirates-led diplomatic and economic boycott of Qatar, could dampen his prospects of eventually ascending the throne. Ellen R. Wald’s timely, well-written history of the Saudi national oil company, Saudi Inc. The Arabian Kingdom’s Pursuit of Power and Profit (Pegasus Books, 2018), is as much the story of the Saudi oil industry as it is of the ruling Al Saud family’s reliance on black gold to ensure the survival of its regime. In painting a picture of the Al Saud’s long-term strategy to build up over decades the know-how and expertise needed to run an oil industry and their determination to ultimately after almost half a century take over ownership in a legal, orderly, commercial transaction, Wald contrasts the kingdom’s approach in colourful and painstaking detail with nationalisations as they occurred in Iran and elsewhere in the Middle East. It is also the story of a US government that increasingly saw Saudi oil as crucial to its post-World War Two global military operations and was determined to ensure that American oilmen, despite their arrogant underestimation of Saudis whom they saw as Bedouins and willingness to bend the truth to enhance their profit margins, were sufficiently accommodating to avoid British mistakes in Iran that resulted in nationalisation and a US-British backed coup to roll back the Iranian takeover. Wald’s book provides essential background for the role that the Saudi Arabian Oil Company better known as Aramco plays in Saudi Crown Prince Mohammed bin Salman’s effort to ween the kingdom off its dependency on oil revenues and diversify its economy. It is essential reading for anyone interested in the kingdom’s future as one of the world’s foremost oil producers at a time of significant economic change.